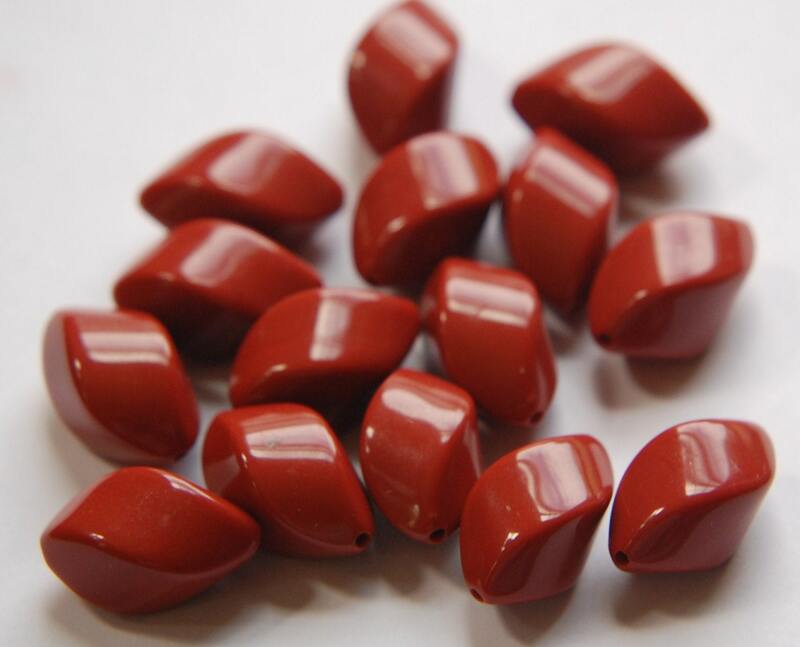 These are vintage lucite beads that are done in a rust color. This bead has a gentle twist that gives it added interest. These measure 22mm long X 12mm wide. You will receive 6 pieces.